The consensus reaction to the title question of this week’s article most likely would be: Since the Rapture hasn’t occurred and the Tribulation hasn’t begun—therefore, the Antichrist hasn’t appeared yet—how could he have already died? At face value, that’s a reasonable response based on the logical presumption that the Antichrist will be a modern-day born man. Historically and prophetically accurate? No. My second book, Out of the Abyss (published 2011) and Eye of Prophecy articles in the category of Antichrist provide an abundance of documentation to support the following premise: The Bible presents all necessary clues pertaining to the identity of the Antichrist, who is none other than the Roman Emperor Nero. Let’s begin with a summarized list of all ten Bible passages about this evil man, which contain the six designations by which he is known: little horn, king, ruler, man of lawlessness, beast, and Antichrist. There is a 7th term—worthless shepherd—however, this label contrasts with the Good Shepherd (Messiah) and incorporates all Antichrist’s roles identified in Scripture. Then, more evidence will be presented to address the questions posed in the title of this week’s article. (1) Daniel 7: Described as a little horn and king. This very first passage about the Antichrist tells us that he would “suddenly … appear” on the Tribulation scene as a king who is directly from the 4th World Empire—Rome. He will not appear in a Revived Roman Empire during the Tribulation, as there is no such empire in Scripture. Instead, it is the arrival of a Revived Roman Emperor who will control a ten-nation coalition; but not as a World Government, as there will be leaders and nations who will oppose him. Scripture does not portray this man as a super statesman or political/military genius; rather, the Bible depicts him as a boastful tyrant who blasphemes God himself. (2) Daniel 9: Here the Antichrist is described as a ruler, whose armies would destroy Jerusalem and the Temple AFTER Messiah arrived on the scene. By subsequent (now historical) fulfillment, this passage can stand alone to confirm that Nero was the ruler prophesied by Daniel some 560 years earlier; and, when combined with all other passages, yields air-tight evidence of Antichrist’s identity. It was Nero who ordered his Generals Vespasian and Titus to crush the Jewish rebellion that began in 66 A.D, with Jerusalem eventually sacked and the Temple destroyed in 70 A.D. Daniel 9 also fast forwards to the Tribulation. Bible teachers and students sometimes overlook or even dismiss the clear composition of Daniel 9:26-27. Which is: The ruler who would arise is directly linked (contextually and grammatically, by a possessive relationship) to the armies (Roman Legions) that would destroy the Temple. Then it’s this same ruler who will trigger the Tribulation through his seven-year treaty with Israel. The only way this could happen would be for the ruler to reappear during the Tribulation. (3) Daniel 11: Here the Antichrist is called a king (King of the North), whose treacherous tactics are similar to a prototype antichrist also prophetically described in Daniel 11—fulfilled by Antiochus IV Epiphanes in the 2nd century B.C. Nero, like Antiochus, will invade Israel. During this invasion, “…his time will suddenly run out” (Daniel 11:45); referring directly to the last days of the Tribulation, specifically Armageddon. (4) Zachariah 11: This little-known passage in the Old Testament depicts the ruthless actions of the “worthless shepherd” (Antichrist) against God’s people during the Tribulation. It also presents an intriguing description of the wounds that would cause Antichrist’s death, the same fatal wounds that the world will see and be in awe of when he (Nero) returns to earth. (5) II Thessalonians 2: The Antichrist is called the Man of Lawlessness by the Apostle Paul. Since the main subject of this week’s article concerns that designation of the Antichrist—particularly his death—we’ll focus on this passage later. 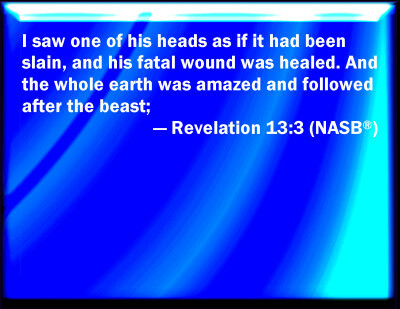 (6) Revelation 13: Here the Antichrist is referred to as a beast (rising from the sea, literally). This passage also tells us precisely why people all over the world will “marvel at” the beast. For one reason only: the “miracle” of recovery from his fatal wounds and subsequent return to earth … some 2,000 years later. And, of course, this is the chapter that challenges the reader (with a mind of understanding) to solve the mystery of the number of the beast—six hundred, sixty-six. That has been done through Hebrew Gematria, which is the way Jews counted (numerical system) back then. Lo and behold, six hundred sixty-six matches with Nero Caesar. (7) Revelation 16: We see the Antichrist (along with Satan and the False Prophet) joining forces with their enemies—the kings of the East—to do battle at Har Megiddo (Armageddon) with Messiah Jesus who has returned to Jerusalem on the Mount of Olives (Zechariah 14) to fight alongside of the Jews. (8) Revelation 17: This chapter is another phenomenal passage that shows us beyond any doubt whatsoever that the Antichrist beast/king had already lived and died (in the 1st century) before John’s visions of the beast. This chapter also provides a biographical overview of the beast’s geopolitical origin; one of the seven kings of the 1st century (Roman Empire), specifically one of the five who had already died BEFORE John’s vision of the beast. Which makes Revelation 17:7-11 historical to John. With the rest of the chapter fast forwarding to the future Tribulation—a confirmation of an elaboration on Daniel Chapter 7. (9) Revelation 19: Soon after the battle for Jerusalem (Zechariah 12 & 14), Antichrist and all the armies aligned against Messiah Jesus are completely conquered in this final battle of the ages—Armageddon. Antichrist and the False Prophet are captured and thrown alive into the Lake of Fire (Revelation 19:20) which tracks with II Thessalonians 2:8, one of the key verses we’ll examine regarding the main subject of today’s article. (10) I John: This is the only book of the Bible in which the term Antichrist is found. The Apostle John first explains “antichrist” (lower case) in general terms as: “…Anyone who says that Jesus is not the Christ. Anyone who denies the Father and the Son is an antichrist” (I John 2:22). Then John makes a remarkable observation that “the spirit of the Antichrist” … indeed is already here” (I John 4:3). Although John referred to the “spirit” of antichrist, he also specifically said, “the Antichrist” … as in “the” Antichrist himself. Nero had already lived and died before John wrote his epistles and before the book of Revelation was written (by either the Apostle John or another John of the first century). Either way, the Apostle John is telling believers of the 1st century that the Antichrist had already been there, because he referred directly to the spirit of “the Antichrist.” Not just of “an” antichrist. This list of all passages on the Antichrist is a thumb-nail sketch compared to the detailed depth of my book Out of the Abyss, and 49 Eye of Prophecy articles written in the category of Antichrist to date, with each article emphasizing select features of and passages on this deplorable man. Because the Apostle Paul wrote I & II Thessalonians in 51-52 A.D. which pre-date the books of I John and Revelation, neither he nor other 1st century believers had yet been introduced to this man as Antichrist or the beast. As detailed in the Eye of Prophecy trilogy, A Beast by Any Other Name … Is Still a Beast (Posted 3-14, 3-21, & 3-28-15), there is a specific purpose for each Biblical designation of Antichrist. The Old Testament titles for the Antichrist are little horn, ruler, and king—all prophetically pointing to the rise of a powerful leader from the 4th World Kingdom—fulfilled in and through the Roman Empire. They are terms denoting an imperial position common to anyone’s understanding in Daniel’s day, or of any generation. However, the New Testament appellations are more metaphorically descriptive, portraying the contemptible characteristics of this evil ruler during his initial disclosure as a (the) man of lawlessness of the first century. Then his reappearance from the Abyss as the Antichrist beast of the Tribulation to perpetrate on a global scale (in the 21st century) what he began to a more limited (but still terrible) degree in the first century. King is also a designation of Antichrist in the book of Revelation; to add a literal component to the symbolic descriptions and is used in the immediate context of Nero’s reign as Caesar. The Apostle Paul was the only one who referred to Antichrist as the man of lawlessness and did so for a special reason. However, the Lord didn’t reveal to Paul that this man would reappear as the Antichrist beast of the Tribulation. Consequently, Paul didn’t know the man of lawlessness’s desecration of the Temple and deification of himself as God (II Thessalonians 2) would take place after this wicked man returned (to earth) from the Abyss. It’s clear that the Lord had revealed the identity of this man of lawlessness to Paul as Nero. However, Paul wouldn’t mention Nero by name because of the imminent danger that would create for believers in the Roman Empire. Thus, after calling him the man of lawlessness and citing the rebellion against God that Nero would begin in the 1st century (to be continued upon his return from the Abyss, which Paul wasn’t privy to), Paul reminds the Thessalonians that he had previously discussed this matter with them. Writes Paul: “Don’t you remember that I told you about all this when I was with you? And you know what is holding him back, for he can be revealed only when his time comes. For this lawlessness is already at work secretly, and it will remain secret until the one who is holding it back steps out of the way. Then the man of lawlessness will be revealed…” (II Thessalonians 2:5-8a, italics for emphasis). The words I’ve italicized in this passage are enormously significant to fully grasp that the present-tense (in Paul’s day) Machiavellian-like schemes in the Roman Empire were precisely what Paul was writing about. As follows: The “what” is holding “him” (the man of lawlessness) back is not a person—including the Holy Spirit. What is an impersonal pronoun. Plus, this lawlessness (that would lead to and soon reveal the man of lawlessness) was “already at work secretly.” And that it was a person (“the one”) holding “it” back, with the it (impersonal pronoun) not a person; rather the “it” was the secrecy of the lawlessness already at work. Much detail, as summarized in the above paragraph, has been provided in Out of the Abyss and a few Eye of Prophecy articles. For example: Does the Holy Spirit Restrain (the Man of) Lawlessness? Posted 3-4-17. The “what” (is holding him back) was the Roman Government—institution of law and order designed and implemented by the Roman Senate and enforced by the Roman Legions. It was not the Holy Spirit, because NEVER in Scripture is the Holy Spirit referred to as what. If a pronoun is used in place of the noun (Holy Spirit) it is ALWAYS the personal pronoun, he or him. The “one” (who is holding “it” back) was Claudius Caesar before he was taken out of the way by his wife. Notice that the “what” (Roman law and government) was holding “him” back; meaning the man of lawlessness (Nero) from ascending the throne until his time came (albeit unlawfully). Whereas, the “it” that was being held in check (by Claudius— “the one”) refers antecedently in the context directly to the secrecy of the lawlessness, which was already at work … at the very time that Paul wrote his two epistles to the Thessalonians. There is absolutely no way to dismiss or avoid the present-tense context of this passage. Paul was not referring to a distant-future man of lawlessness nor some far-off future lawlessness. One that most Bible scholars believe won’t take place until the Tribulation, because of the notion that the Antichrist will be a modern-day man—not one who returns from the ancient past. That lawlessness was (secretly) taking place in Paul’s time, one that would lead directly to the revealing of the man of lawlessness as the next Roman Emperor—Nero. It’s vital to know that Paul wrote II Thessalonians about two years before Nero ascended to the throne at the age of 17. Also, that Nero was not the lawful heir to the throne. It should have been Claudius’ natural son, Britannicus, to have taken Emperor Claudius’s place. Nero’s mother Agrippina who (incestuously) married her uncle (Claudius) couldn’t wait for her husband to die a natural death. 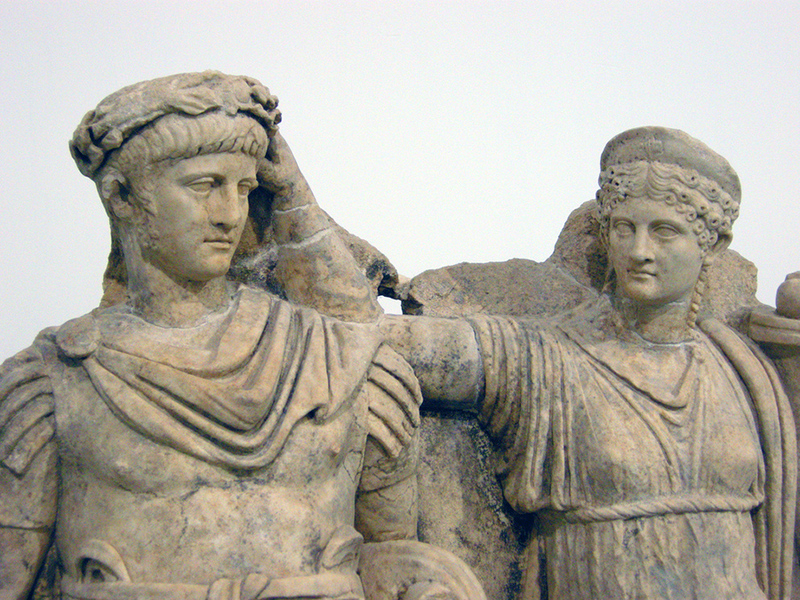 So, she poisoned him … according to historians either with Nero’s knowledge or complicity. History tells us that Claudius was very fond of his step-son, Nero, favoring him even above Claudius’s natural son, Britannicus. Obviously, Claudius wanted Nero to succeed him, but certainly not as a result of Claudius being toppled from power by anyone, let alone his wife, Agrippina. Thus, Claudius was part of the scheme that would bypass his natural son’s right to the throne in favor of his step-son Nero. Little did Claudius realize that this plot would thicken with Agrippina’s lawless sub-plot to prematurely take him out of the picture; to remove him from power by revealing her true intention—that of Nero’s immediate unlawful ascension to the throne (Page 201). Obviously, the Tribulation has yet arrived, because the Rapture has not yet taken place. So, what about the seemingly irrelevant question: Has the Antichrist already died? If so, how, when, and why? Before answering these questions, remember that when John saw (his first vision) the Antichrist, the man (depicted as a Beast) had already recovered from his deadly wounds. The world will consider this to be a miracle to even surpass that of Jesus’s resurrection from the dead. Thus, the greater majority of those left behind at the Rapture will be amazed at such a feat and will yield their allegiance to the Beast to the point of worship. 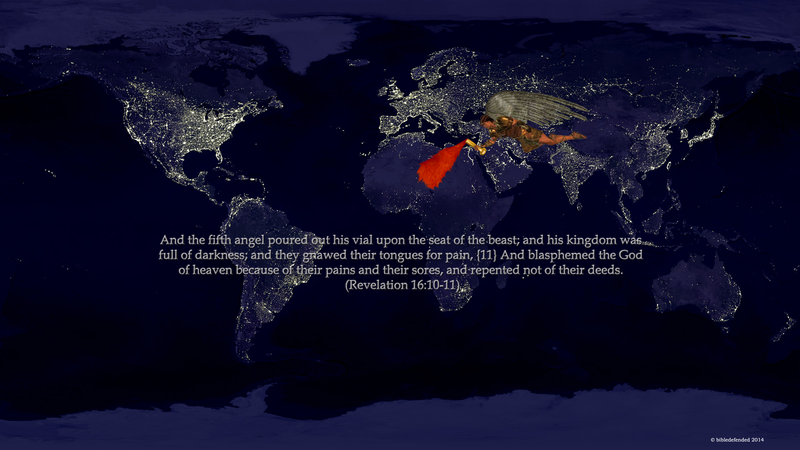 (Revelation 13:1-8). How (by what means) is the Man of Lawlessness Killed? The Apostle Paul then makes an astonishing statement to complete that verse: “…but the Lord Jesus will kill him with the breath of his mouth and destroy him by the splendor of his coming” (II Thessalonians 2:8b). Despite the staggering significance of this verse, it is seldom referenced or explained by Bible teachers and students of prophecy … whether through sermons, books, articles, or commentaries. Paul not only announces that the man of lawlessness—who would later be called the Antichrist and the Beast—would die; he also makes it crystal clear that Jesus, by the breath of his mouth, would slay this man. “By the breath of his mouth,” is another way of saying that Jesus (the true Christ) would intervene and preemptively terminate the man of lawlessness—Nero. It’s like the linguistic imagery used in Revelation when, during the final battle of Armageddon, we read: “From his mouth came a sharp sword to strike down the nations…” (Revelation 19:15). Through Christ’s divine sovereignty, he would cause the death of Nero … an untimely death in the eyes of the Roman Empire and Satan, himself. Yet a timely part of God’s remarkable plan to set in motion another time for the man of lawlessness to return as the Antichrist beast during the end times. This sovereign preemption of the man of lawlessness contrasts with the normal cycle of life and death, in which God prophetically knows the course of every person’s life but allows the cycle to complete. However, the Bible contains several examples that illustrate God’s proactive intrusion leading to the death of some people, before their time. In my book Out of the Abyss, I cited five of these incidents (there are many more than five), in which the Lord—who has divine power over life and death, physically and spiritually—preemptively ended the life of a person or a group of people. Invariably, the reason was because the person or people involved, in word or deed, defied the Lord or recklessly violated his Laws (Word). Throughout history, God obviously hasn’t struck down everyone who arrogantly denigrates him or arbitrarily disobeys him. But who would ever want to take that chance? “God says, ‘At the time I have planned, I will bring justice against the wicked’ … I warned the proud, ‘Stop your boasting!’ I told the wicked, ‘Don’t raise your fists! Don’t raise your fists in defiance at the heavens or speak with such arrogance.’ … It is God alone who judges; he decides who will rise and who will fall” (Psalm 75:2-7, italics for emphasis). God’s sometimes swift judgment even included his own people, the Jews; as well as one New Testament case involving two believers—Ananias and Sapphira. And on one occasion, resulted in the (at the hands of just one of God’s angels) overnight death of 185,000 Assyrian soldiers! Due exclusively to the Assyrian King Sennacherib’s taunts of and boasts against Israel and especially against the God of Israel (See II Kings 18 & 19). When Is the Man of Lawlessness Killed? First, a quick one-question review quiz. Who does Jesus kill? Correct: the man of lawlessness. Before we discover when and more specifically how (then why) he was slain, I’d like to quote an excerpt from my second book. Purpose of which is to explain why three distinctive New Testament terms are assigned to the man who virtually the entire world refers to as Antichrist. Man of Lawlessness: Paul’s description as the man of lawlessness points to the soul or persona of the man. Simply put: the man is unruly, anarchistic, uncontrolled, ungovernable … outside the God-given laws of morality and nature. Antichrist: The term antichrist refers directly to the spirit of this depraved man; in fact, the apostle John equates the Antichrist to the spirit of antichrist. Then John defines what this spirit represents or does: it denies God the Father, and God the Son as Messiah. Beast: The bestial image of Revelation vividly depicts the physical nature (body) and corporeal deeds of this man, and all that entails. We still use a beast in modern language to expound the exploits of an individual. We might say, “He fought like a beast!” Or we might reduce the beast-like qualities to a specific animal and say, “She had the strength of a lion!” The soul and spirit of a person expresses all that is evil or good through the flesh or bodily presence of the individual (Out of the Abyss, Pages 204-205). 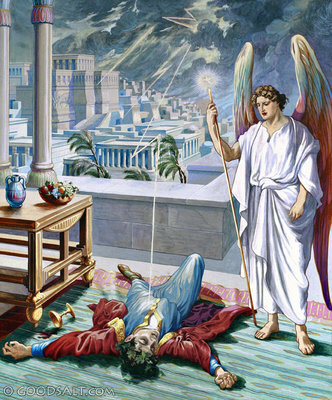 When Jesus, with his divine rightful authority, killed Nero, he eliminated the very soul of this wicked man from the face of the earth, at that specific point in time (68 A.D.), for a very explicit purpose, with a unique twist to a twisted man. Jesus would preserve Nero’s body for the precise plan of sealing the final destruction of the Antichrist and the beast bodily in the lake of fire (Page 205). Once again, we need to wrap our mind around the startling fact that when John first saw the beast/king, this man had already recovered from his fatal wounds and had returned to the earth in the same body in which he had died. Then Scripture gives us even more proof by the angel’s unveiling of this mystery when John experienced his second vision of the beast as recorded in Revelation 17. Although I’ve quoted this verse several times in prior articles, it bears repeating—if we are to fully grasp the incredible evidence that the beast had already lived and died BEFORE John saw it (him). Said the angel to John: “The beast you saw was once alive but isn’t now. And yet he will soon (meaning abruptly at any time) come up out of the bottomless pit and go to eternal destruction. And the people who belong to this world … will be amazed at the reappearance of this beast who had died” (Revelation 17:8, italics for emphasis, parenthesis mine). Yet, when the beast died, he died as the man of lawlessness. What difference does that make? Are we splitting hairs semantically? Aren’t the beast and the man of lawlessness (as well as Antichrist) one and the same man? Answer: The names of Antichrist make all the difference in the world, if we are to accurately ascertain that this man is not just future-tense (during the 21st century Tribulation). He also has a past … dating back to the 1st century. Expressing it another way: Jesus did not kill the beast; he killed the man of lawlessness. Although the man of lawlessness and the beast are one and the same (Nero), this is not a contradiction. Why … because the Holy Spirit, through Paul, is telling us when the beast would be killed. The beast would be killed by Christ while the beast was the man of lawlessness, before he reappeared as the beast! As the beast, Nero will be cast into the Lake of Fire, alive (Page 206). 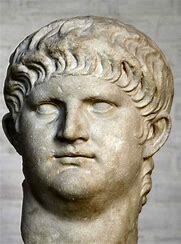 History shows that by a sudden change of the Roman Senate’s and the Roman Legion’s loyalty to and fondness of Nero, they turned on him and ordered his torture and execution. 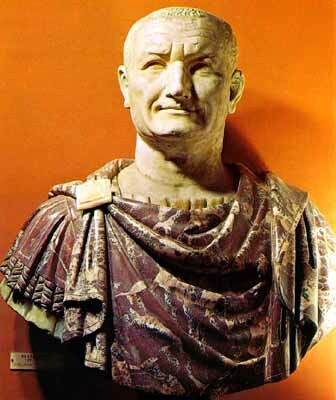 Already a Roman General, Galba, had been selected to replace Nero as Caesar. No Internet back then! But news still traveled fast in the Roman Empire and Nero rapidly learned of his impending fate. As a result, he tried unsuccessfully to commit suicide but was too much of a coward to do himself in. Consequently, his servant, Epaphroditus finished the job with a sword. Note: The fatal wounds sustained by Nero are prophetically depicted by the prophet Zachariah in Chapter 11, where the Antichrist is called a worthless shepherd. This is another imitation of Messiah Jesus (who bore the scars of the nails and spear), by anti-Christ Nero, who will flaunt the scars of his fatal wounds upon his return from the Abyss. Why Did the Man of Lawlessness (Nero) Die by the Word of Messiah Jesus? In general, this question has already been addressed via the precedence (principle) of God’s sovereign intervention in the lives of some people throughout history. There are two more specific reasons, both of which fit into God’s providential plan to establish the Kingdom of God on earth to replace Satan’s kingdom. In doing so, the Lord will give humanity one last chance to prove that they don’t need God in their selfish schemes to achieve paradise on earth. And, thereby, to judge those who choose Antichrist instead of Jesus Christ. 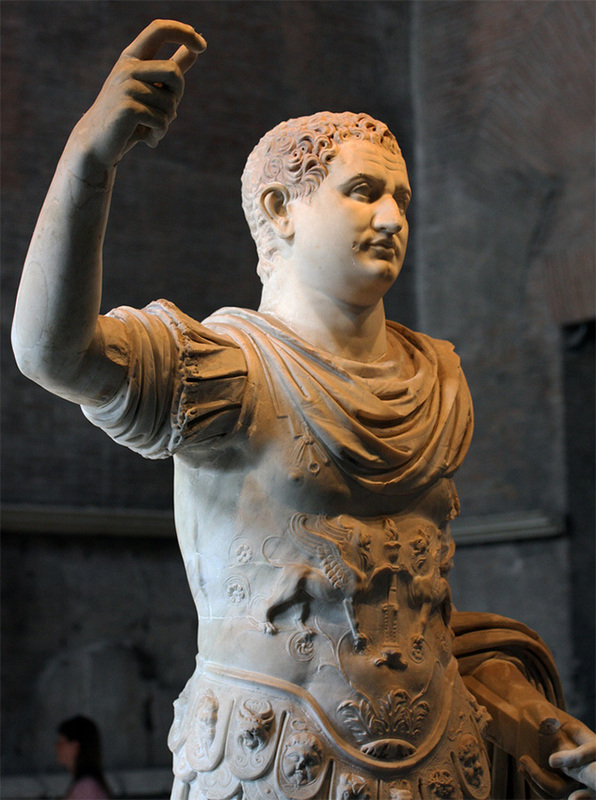 Nero’s cold-blooded murder of family, friends and complete strangers, his unprecedented ruthless savagery toward Christians—taunting them with his “light of the world” sarcasm, as they slowly burned and succumbed to a horrible death—his self-appointed supreme god-like status, the boastful erection of a monumental statue to himself that was thirty feet higher than the one built for Nebuchadnezzar; all crossed the divine line that shouldn’t be crossed. Enough was enough. Christ would step in. Nero’s personification and inimitable perpetration of this lawlessness would end. “But the people who did not die in these plagues still refused to repent of their evil deeds and turn to God… And they did not repent of their murders or their witchcraft or their sexual immorality or their thefts” (Revelation 9:20-21). History tells us that Nero specialized in these practices. When Nero reappears on the scene, he will mesh perfectly with the wickedness of the world. The world will embrace him as a leader who allows, endorses, and even initiates this immoral, ungodly, and contemptuous fist shaking at Almighty God (Page 213). Second Reason: We know that the beast will arise up out of the Abyss (literally beneath the seas) as/when he returns to earth. To come out of the Abyss, he would have had to be placed (imprisoned) there. According to Scripture, the Lord alone has the authority to confine and release beings from the Abyss, which is not the same place as hell (See Luke 8, II Peter 2, Jude, and Revelation 17). Thus, after the Lord revived Nero, he banished him to the Abyss for the express purpose of giving those left behind at the Rapture what they want … the very lie they wish to believe in the first place. The lie that Jesus is not the Messiah; yet, they’re all too willing to follow someone who opposes but also counterfeits Messiah Jesus. Someone who is just like them, who will promise them the power and pleasures they so desperately want. Someone who, “…will use every kind of evil deception to fool those on their way to destruction, because they refuse to love and accept the truth that would save them. So God will cause them to be greatly deceived, and they will believe these lies” (II Thessalonians 2:10-11). Nero was born shortly after Jesus went back to heaven. He rose to power through a sequence of lawless events. He will be allowed to return from the Abyss, but not to actually duplicate the resurrection of Christ. Antichrist will not arise from the dead in the fashion of the true Messiah and Christian saints. Jesus said, “I am the resurrection and the life.” Only the Trinity has the true power of resurrection. Yet, the reappearance of the beast will, by all intents and purposes, resemble and mock the very cornerstone of the Christian faith, which is none other than the miraculous resurrection of Jesus Christ from the dead. This will be the “lie” (II Thessalonians 2:11) that billions of people will believe during the Tribulation (Page 215). At first glance, Paul is being unnecessarily redundant. Meaning, how can someone be killed and then destroyed? Aren’t they destroyed when they are killed? Thus, we must more closely examine the text. Paul is referring to two separate events, the first during the life of the man of lawlessness who Paul knew was Nero. In fact, Nero was Caesar (54-68 A.D.) during much of Paul’s ministry. However, as indicated, the Lord hadn’t revealed to Paul that the man of lawlessness would return from the Abyss (as the Antichrist beast) after he was killed by Christ. But he did know that Messiah Jesus would (finally) destroy this man upon the glorious return of Jesus. The word “and” (destroy him by the splendor of his coming) contextually and grammatically is not a connective word in this passage that might otherwise link the clauses on either side of it just to emphasize each clause as being the same thing but expressed differently … kill and destroy. Rather it is used in its more common meaning of, in addition to. First, Jesus would kill this man, and (then—at the second coming of Christ) would “destroy” him. The man of lawlessness would not be destroyed until he had returned—as the Antichrist beast. The term “man of lawlessness” is not used in Revelation or in the apostle John’s epistle. That doesn’t imply that Nero won’t be the epitome of lawlessness upon his reappearance. It just means that he was (prematurely) terminated by the word of Jesus after his (Nero’s) initial revealing as the man of lawlessness. 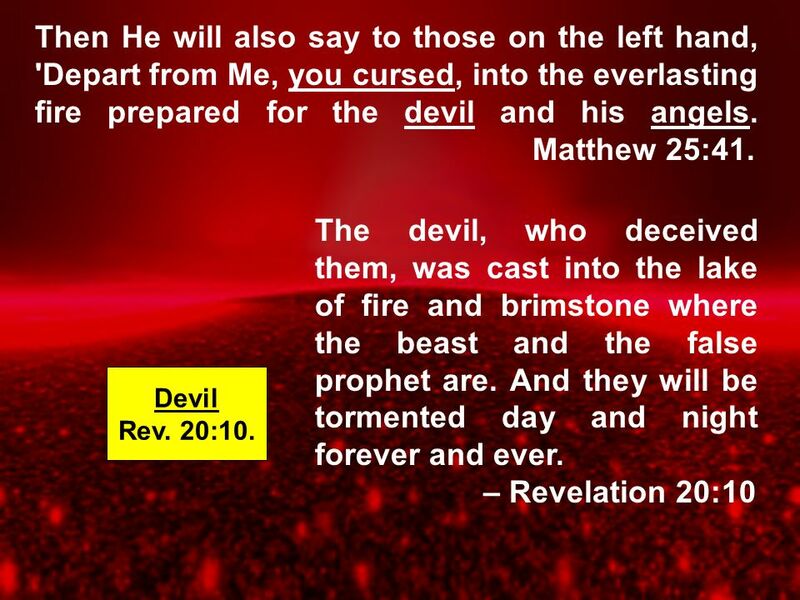 Revelation 17:8 tells us that the beast would come from the bottomless pit and, “go to eternal destruction.” There is, therefore, a first coming and a second coming of Antichrist, to replicate and counterfeit the First Advent and resurrected Second Advent of our true Messiah. Jesus came the first time to die for the sins of the world, as the Son of Man. His miraculous triumphant bodily resurrection completely validated the fact that he was the Son of God; that the Gospel of Christ was and is, in fact, the truth. Jesus met the requirements of the Law and fulfilled the Law of Moses, thereby creating a new covenant between God and man, the Covenant of Grace. Nero came as the man of lawlessness. He was killed by Christ for Nero’s own heinous sins that crossed the divine line of God’s toleration. Yet, Christ will permit him to reappear bodily with the spirit of Antichrist to deceive the world through a lie. Moreover, it would make all the sense in the world for the respective advents of the true Messiah and false messiah to occur within a very close proximity of time, but in a manner that God chose. Jesus, who is the way, truth, and life because he perfectly fulfilled the Law of Moses, arrived on the scene first. Then came the man of lawlessness who would seek to pervert and destroy this way, truth, and life. Nero arrived on the scene of humanity some three and a half years after Jesus ascended to heaven. Nero will be allowed to reappear some seven years before Messiah returns, but Nero’s ultimate authority during that time will be for three and a half years. Thus, Christ will have the final say in this matter. Yeshua is the First and the Last (Pages 207-208). Meanwhile, we who have been redeemed by the precious blood of Messiah Jesus: “…should live in this evil world with wisdom, righteousness, and devotion to God, while we look forward with hope to that wonderful day when the glory of our great God and Savior, Jesus Christ, will be revealed” (Titus 2:12-13).